In keeping with the theme of jewelery, who can remember eating+one of these. terrific shot. 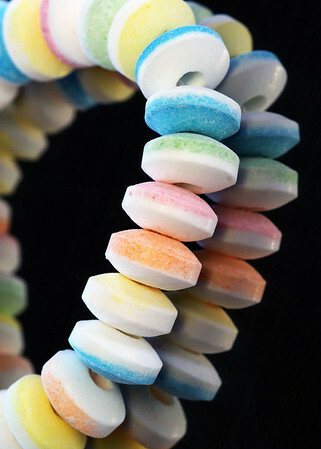 I loved candy necklaces. I used to love candy necklaces. Thanks for the memory. I can! I loved them even though they got disgusting and sticky after a bit. Simple...yet subtly vibrant. Nice job Susan. The last time I had one was with Austin just a few years ago. Great capture, the detail and reflection are awsome. Ha - haven't had one in years, but sure remember the taste. Great idea!